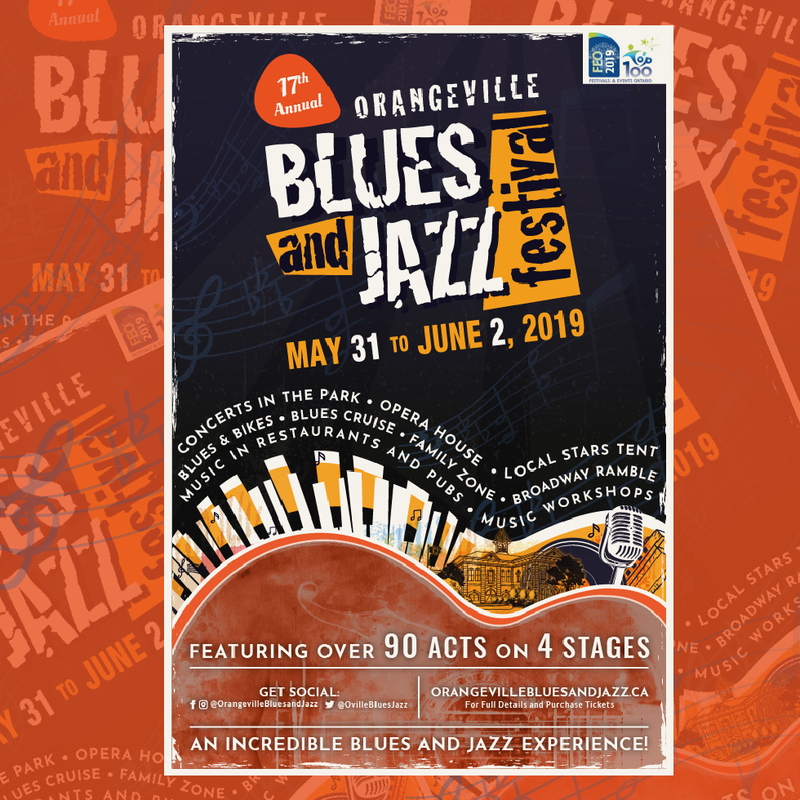 The Orangeville Blues and Jazz Festival announced today details about the 17th annual Festival taking place this year from May 31st to June 2nd in downtown Orangeville. Josh Leitch, President of the Festival Board of Directors, and Larry Kurtz, Festival Founder and Artistic Director, welcomed an enthusiastic crowd of Festival insiders and supporters at the annual Festival Launch Event at Mill Creek Pub in Orangeville. In announcing this year’s outstanding line-up of performers, Festival Founder and Artistic Director, Larry Kurtz, stated “We are excited to announce the Festival will take place from May 31st to June 2nd in downtown Orangeville and will feature over 9O ACTS on 4 STAGES and in local pubs, restaurants and event venues with several pop-up Bands performing on Broadway”. 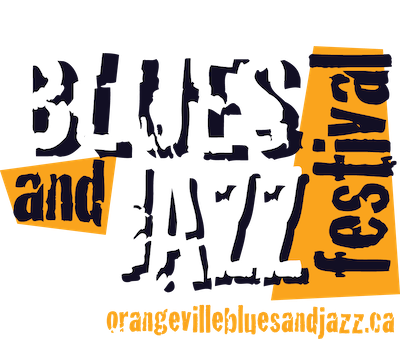 The 17th Annual Orangeville Blues & Jazz Festival kicks off on Friday night at 5PM with the extremely popular Blues Cruise, sponsored by Dairy Queen, and MacMaster Buick GMC and Orangeville Chrysler. 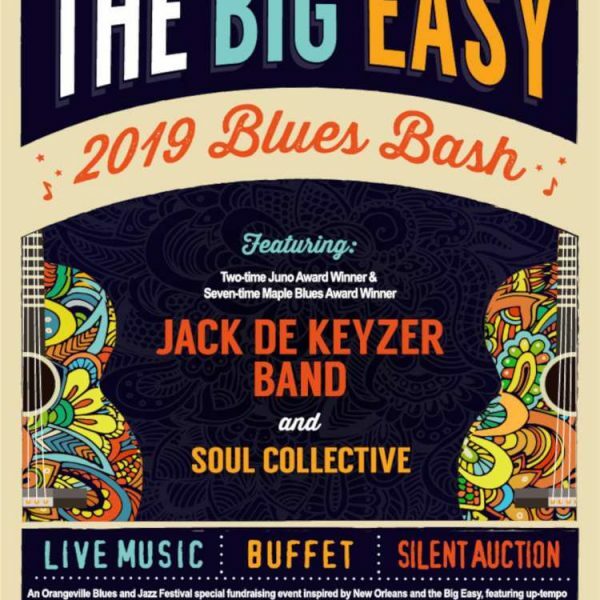 The Blues Cruise features over 300 classic cars and 10 bands performing on Broadway including Al Lerman, Danny Marks, Alan Gerber and Gavin McLeod. 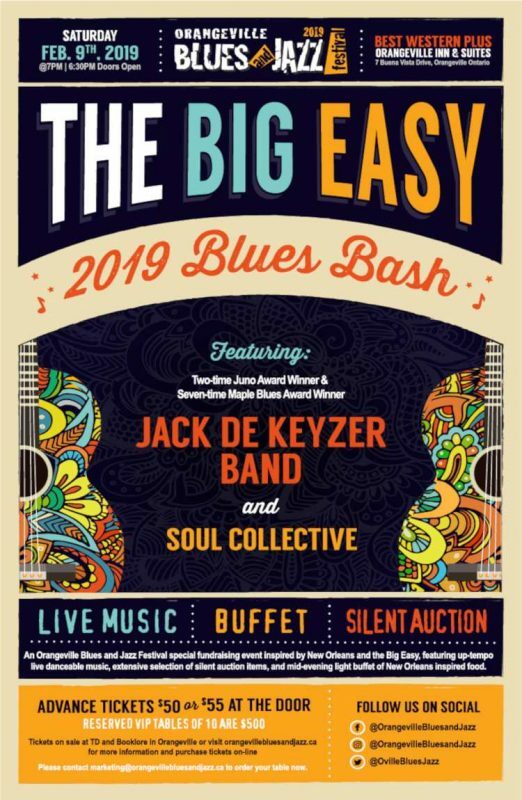 The Main Stage will feature Larry Kurtz & The Lawbreakers with special guest Heather Katz going on stage at 8PM on Friday night followed by an amazing eleven-piece soul band from Ottawa, The Commotions. Throughout the entire weekend there will be live music featured in over 20 clubs, restaurants and event venues around town as part of the Festival experience. On Saturday, starting with the Orangeville Business Improvement Area’s (OBIA) Farmers Market running from 8AM to 1PM, the Broadway Ramble will be closed to vehicle traffic and will provide a pedestrian friendly festival environment with over 10 bands performing in various outdoor locations on the street. In addition, this year will mark the introduction of a Festival Kid Zone as part of the Broadway Ramble and will feature several family-friendly workshops and programs such as harmonica lessons, a photo booth, music art activities outside of Maggiolly Art, drum circle, coloring station and more. 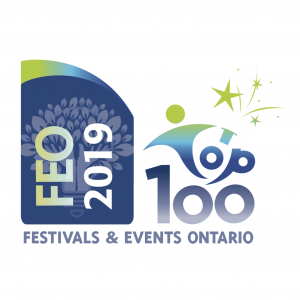 The festival also features plenty of great local talent performing in the TD Local Stars Tent on Saturday and Sunday such as the ODSS Jazz Band, Stan Chang, Campfire Poets, Orangeville Chorus, Travelling Wannabes, Jazz Society Band, and Soul Collective. The Main Stage located in Alexandra Park will feature an outstanding line-up of award-winning artists starting at 2PM including rising star Angelique Francis, Juno award winners Digging Roots, vocal powerhouse Erin McCallum, Maple Blues Award nominated Jon Knight & Soulstack, the electrifying Miss Emily, and back by popular demand closing out the evening, will be award winning Australian harmonica and didgeridoo player Harper & Midwest Kind. On Sunday, the Main Stage schedule will begin at noon until 6PM with performances by Maple Blues Award winners Murray Kinsley & Wicked Grin, Toronto Blues Society new talent search winners The Byward Blues Band, two-time Juno winner Steve Strongman and multi Maple Blues award winner Sue Foley will close the festival. The Opera House series, sponsored by Mortgage Architects and Orangeville Insurance Services will begin at noon on Saturday and the line-up will include Cobalt Prize winner Joe Nolan, two- time Juno nominee Jason Wilson, an extremely rare appearance by Halifax’s incredible Garrett Mason, and will be headlined by 2019 Juno Winner for Vocal Jazz Album of the year Laila Biali Sunday in the Opera House will feature Orangeville’s own very popular Leisa Way & The Wayward Wind Band, from Budapest Hungary, Memphis Blues Challenge winner Little G Weevil, and headlined by the award-winning Cuban pianist and composer Hilario Duran. The increasingly popular Blues & Bikes event on Broadway, sponsored by Barrie Harley-Davidson has been moved to Sunday (from Saturday) from 1PM to 5PM and will feature an expanded area to facilitate even more motorcycle enthusiasts. In addition to the incredible collection of motorcycles will be pop-up music performances taking place on the street.